The DoubleDown Theme is the Premium WordPress Theme that is perfect for Casino and Gambling affiliates especially. 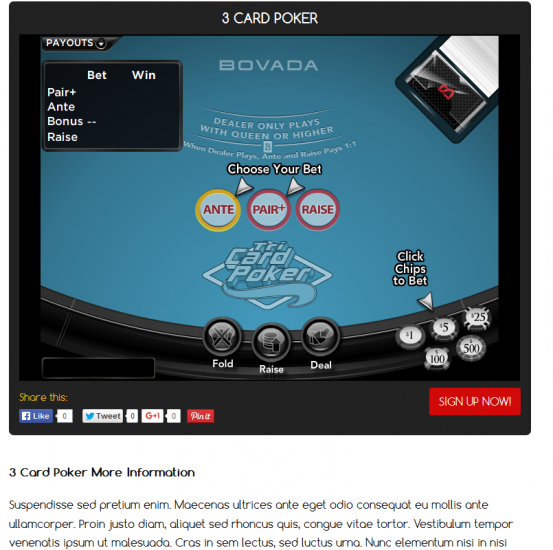 It features an attractive slider on it’s home page template and the ability to highlight featured games and casinos. Check out some of the great websites using the DoubleDown Theme. 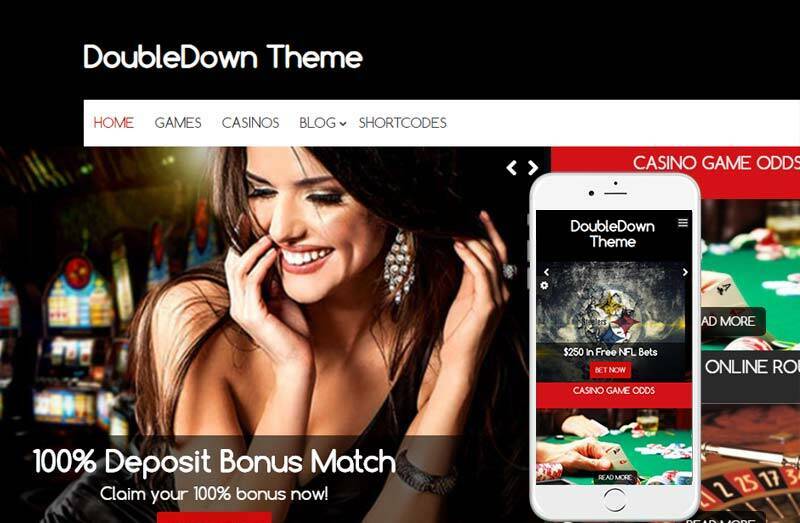 The DoubleDown Theme is the Premium WordPress Theme that is perfect for Casino and Gambling affiliates especially. 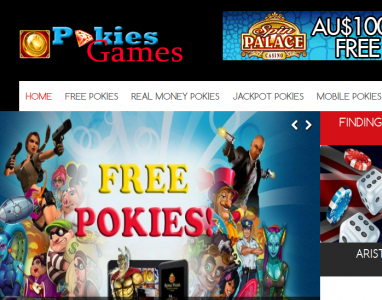 It features an attractive slider on it’s home page template and the ability to highlight featured games and casinos. The DoubleDown theme offers the ability to write casino and game reviews with built-in review templates and game listings pages. You can also embed game demos which will be shown on the single game page. The theme is fully responsive and adapts in different screen resolutions including mobile. There is also a nice built-in mobile menu that is user friendly for mobile users. The theme is fully localized and able to be translated into any language. We have provided the .po file so you can create your own language file. No plugins are needed for this theme. We do recommend an SEO plugin like Yoast WordPress SEO however. Are casinos or games included? No, you are free to promote any games and casinos you wish. You will need to provide your own logos and content for each. There are a few built-in color options and background theme options. Buttons colors, link colors, and the overall red color can easily be modified in a few clicks.